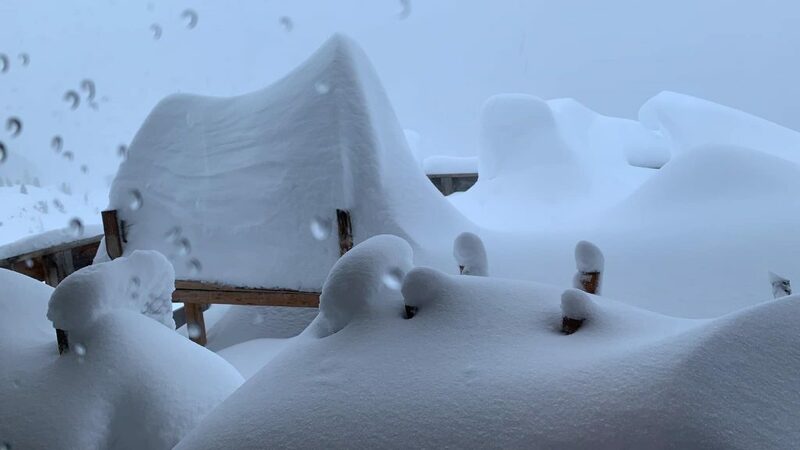 Engelberg is reporting that the snow depth on its Titlis glacier has reached 7.3 metres (24.3 feet) after the resort received a metre of snowfall on its upper slopes between Wednesday and Friday this week. 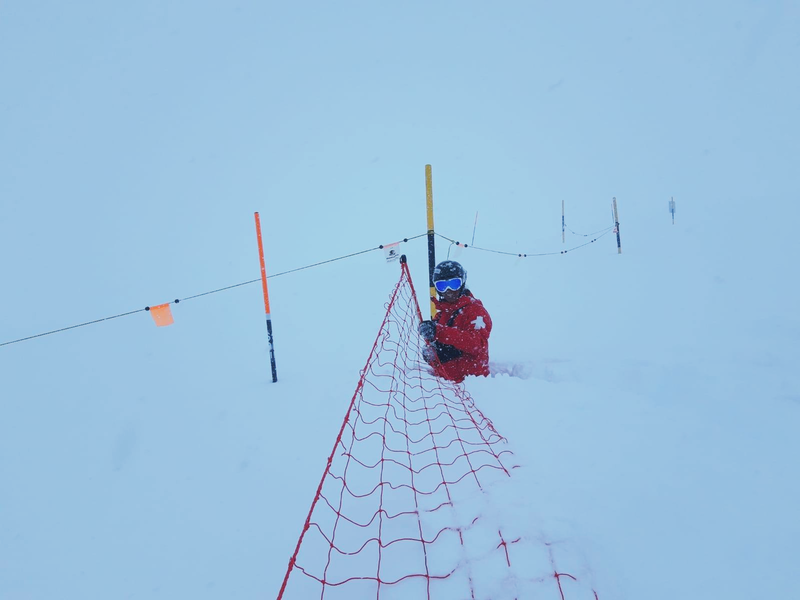 It is the first time any ski area in the world has posted a snow depth figure of over 7 metres this year. 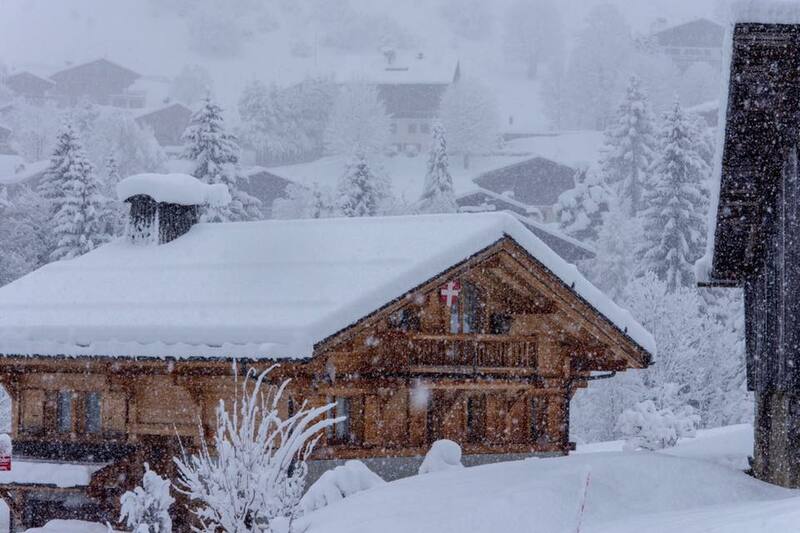 The heavy snowfall across the Alps has seen some massive accumulations reported with a number of resorts including Solden in Austria, Gressoney (pictured above yesterday) and the Schnalstal glacier in Italy and Bellwald in Switzerland reporting a metre (40 inch) of snowfalls in 24 hours. 48 hour totals of as much as 185cm (over six feet) have also been reported. Of the big-name resorts, Andermatt reports 120cm (four feet). It already had 6 metres lying on its upper slopes and posted the image top of slope preparation work yesterday. 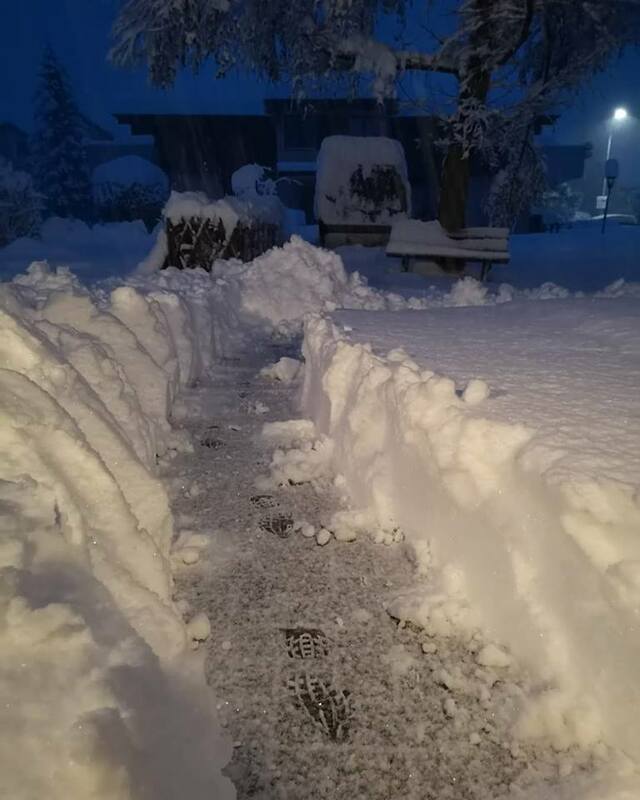 In France La Clusaz (above) opened its lifts early this morning at 7.30am so skiers and boarders could get out to enjoy the 50cm of fresh snow there early. The biggest numbers are on higher peaks but the snow has been falling heavily right down to valley level in most areas. The avalanche danger has also risen, particularly above 2000 metres, from levels 1-2 (low) at the start of this week to levels 3-4 (considerable to high) for off piste skiing and boarding. A number of areas are currently closed whilst access is cleared and slopes made safe. Many others are limiting the terrain they open for the time being. Engelberg, which stays open for snowsports until the last weekend of May, has also had heavy snow right down to village level, 2000 vertical metres below its highest lifts, meaning top-to-bottom skiing on one of the world’s biggest lift-served verts should be possible for all or most of the next 8 weeks. Prior to the recent snowfall its lower slope base depth had dropped to just 15cm (6 inches), but that’s now jumped back up to 80cm. It is pictured above yesterday morning as the snow was still building.